Michael Crichton, as he was in life, is turning out to be a bit of a surprise in this regard. After passing away at the relatively young age of 66 from cancer in 2008, Crichton has remained on our bestseller lists and will remain in our movie theaters. So far the man has reached out from beyond the grave to publish three new novels since his death, one of which is being adapted into a film with Steven Spielberg producing. There’s no telling how many more novels might be lurking in Crichton’s files, so there might be many, many more to come—but should we be excited? 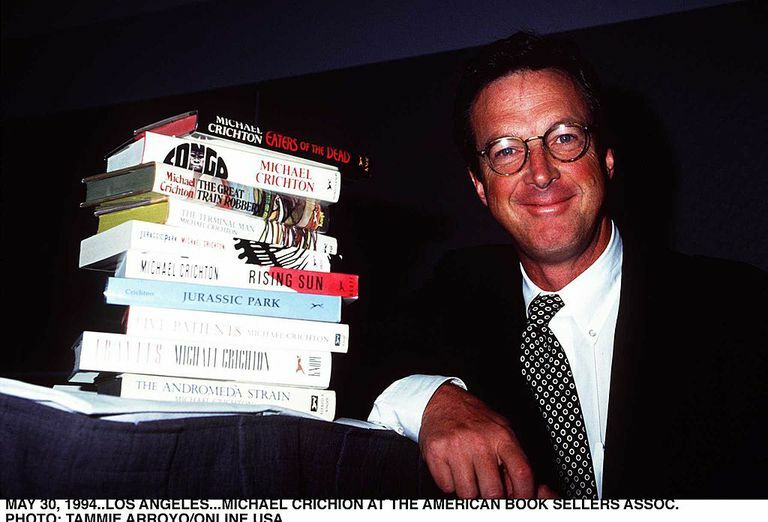 After all, some novels are unpublished for a reason, even if you’re Michael Crichton. Let’s consider the three posthumous novels the Crichton estate has published—in order of quality. Micro, by Michael Crichton and Richard Preston. Micro was the last book Crichton actively worked on (though the second to be published after his death); he was scrambling to complete it when he succumbed to his disease, and left behind a manuscript that’s been described as perhaps two-thirds complete, with a raft of handwritten notes. The story is typical Crichton, combining plausible sci-fi with factual scientific background: A group of graduate students—ambitious scientists all—are invited to Hawaii to interview for jobs at a hot microbiology company. They accidentally learn about all sorts of illegal shenanigans going on, and the ruthless CEO has them shrunk down to about half an inch tall. They flee into a rain forest and must then fight for their lives against an equally ruthless nature: Ants, spiders, and other threats humans normally ignore. A little crazy? Sure, but so was cloning dinosaurs. The publisher brought in Richard Preston, author of The Hot Zone and other notably science-oriented works, to finish the book from Crichton’s notes, and this decision was pretty sound. The end result has Crichton’s knack for twisty, fast-paced thriller writing backed up by enough scientific gravitas to float the crazy premise, and many of the sequences where our heroes battle it out with insects and other predators as they fight for survival are pretty tense. On the flip side, those characters are a little thinly written, making it hard to care—but the action is tense enough to ignore some of the pedestrian writing. Overall, this is easily the best of Crichton’s three posthumous novels—one reason Spielberg is producing the film version. The first of Crichton’s novels to be published after his passing was very likely written long ago and left in his files. While we can’t be certain when, exactly, it was written, the writing style on evidence is reminiscent of Crichton’s earliest work, lacking some of the relaxed, confident work he produced as he matured. Additionally, Crichton made references to a pirate novel set in the 17th century as far back as 1979, so it’s very likely this is an old draft pulled out of the files. That said, it was also a complete draft that only needed a polish before being published; no co-writer was necessary, which is one reason it was the first of Crichton’s posthumous novels to be published. It’s the story of Captain Charles Hunter, hired by the Governor of Jamaica to retrieve a sunken treasure. It’s got pirates, of course, sword fighting, sea battles, and treasure-hunting, which ought to be a winning combination. But the book never gels, and around the two-thirds mark it begins to meander a bit in a way that indicates Crichton was throwing ideas at the wall to see what would stick, and then probably rapped out an ending just to have something finished he could later return to. It’s not a bad novel, really, but it’s also not particularly good, or interesting. Very likely Crichton knew it, and that’s why he kept it in a filing cabinet instead of publishing it—which someone of Crichton’s caliber and sales record could have easily done, flaws and all. Dragon Teeth, by Michael Crichton. Which brings us to Crichton’s most recent novel, Dragon Teeth. Another manuscript dating back to the 1970s, and another fully completed work that didn’t need any additional writing, it’s not Crichton’s best work by a long shot—unsurprisingly for a project he worked on and then abandoned, it’s very undercooked. The story is set during the real Bone Wars, a strange moment in American history when two prominent paleontologists went hammer and tongs in the American West, fighting over fossils—literally. There was bribery, violence, and elaborate schemes, and if you’re thinking this sounds like a fantastic period of true history to set a story in, you’re right. Unfortunately, Crichton obviously never found the right tone or the right approach; his characters are dull and uninteresting, and he crams in so many real historical personages it starts to feel like a gimmick. There’s a good-to-great story in here somewhere, and one wonders if Crichton had dug this out and worked on it for a year or so he might have shaped something spectacular. 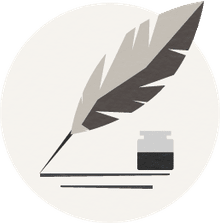 As it is, it’s the sort of failed project every writer has by the dozens, and if you’re intrigued by the historical facts and setting, there are better books to read about them.